When you’re on a restricted diet, you can’t always just grab a bite of anything that you want and chow-down. No, you have to be all careful and stuff. I mean, a couple of weeks ago, I wanted a cookie soooo bad. Like bad enough not to check the ingredients…the package said “gluten-free” and I thought it would be perfect. And I just dug-in. Oh, I’ve been paying for it now for almost two weeks. There was dairy in them there cookies…and it almost killed me. 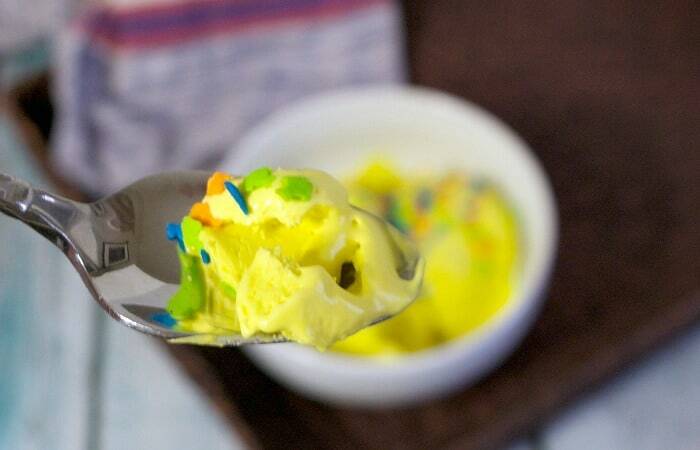 So, a couple of days ago, when I saw the buttered rum ice cream in the frozen section and my mouth started watering–I knew I’d be in trouble if I bought that pint. I didn’t I didn’t buy it. 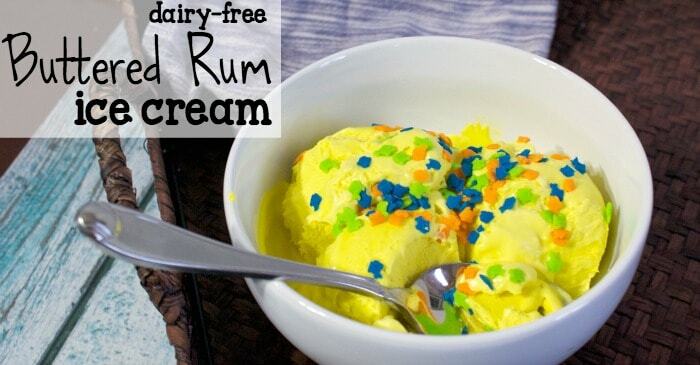 I made myself some Dairy-Free Buttered Rum Ice Cream. And I’m a happier camper because of it. I love taking a bite of something decadently sweet. It’s like a double reward. Like I’m sneaking something I can’t normally have–so I enjoy it double. LOL! And the buttered rum-ness…that just makes it a huger kind of naughty-treat. Like a little slice of “not supposed to have this”. Heh. And really, the only reason I made it yellow was to go one step further into silly-ville. I’d say my kids loved it, but I made it one night after they went to bed and, well, there was nothing left when they got up the next morning…sooooo…yeah. At the end of the day, though, is there any reason for me to share with the kids? Can’t I have a decadent treat all to myself? They’d probably say no, but who cares what they think?! They’re asleep (again). To the kitchen! LOL! 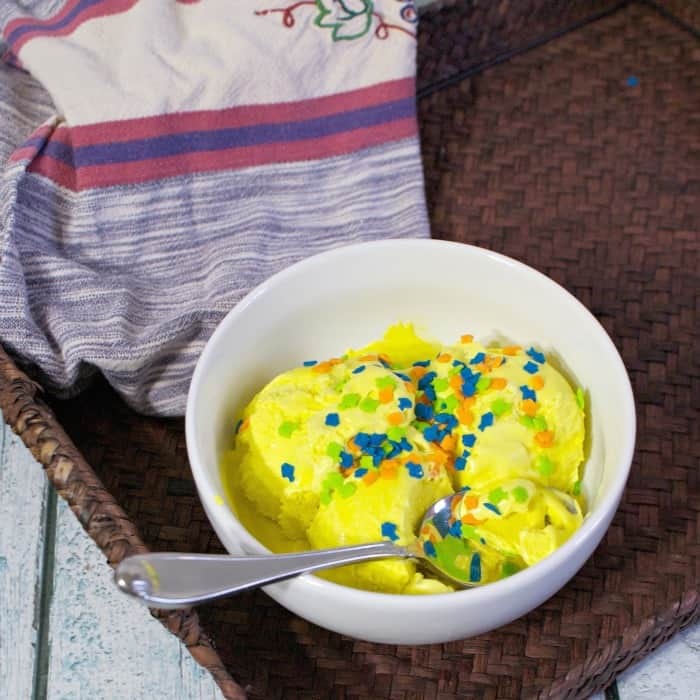 I made myself some Dairy-Free Buttered Rum Ice Cream. And I'm a happier camper because of it. 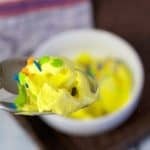 Sprinkle with sprinkles (heh) as you're serving!